The Namosi Joint Venture (NJV) was given an exploration licence because there were no grounds to reject its application, says Permanent Secretary for Lands and Mineral Resources Tevita Boseiwaqa. He was yesterday reacting to the claim by the Tikina Namosi Landowners Committee (TNLC) that they were not consulted on the issue of the licence. TNLC co-chair Agavito Koroimanono told the media that there was no consultation made and they wanted NJV to stop the exploration on their land. “The Prime Minister had once stopped the exploration and now they are still continuing with the agreement of the Minister for Lands and Minerals by renewing the exploration licence SPL 1420,” Mr Koroimanono said. He said they were never asked to give their consent, so their voices weren’t heard. Mr Boseiwaqa however said when NJV applied for the renewal of the licence they had to follow procedures before the approval was made. The Ministry of Land and Mineral Resources officers led by the Deputy Permanent Secretary and the director of lands had visited the villages to hear from the landowners themselves and they had given their support. They then made their technical verification and also certified the support on the ground. He said they concluded that NJV had fulfilled all the requirements needed and there was no ground for them to reject the application. However, Mr Koroimanono maintained they had been ignored and demanded NJV to stop the exploration. He said they would now seek a meeting with the Prime Minister as they represented the majority of the landowners. They were totally against mining in Namosi and wanted another type of development carried out on their lands earmarked for mining exploration. He said as of yesterday they had received no replies to all their correspondences in regard to the issue and this included the Prime Minister’s Office. More than 100 people, whose relatives vanished during the Bougainville civil war, have marched through the town of Arawa calling for action. The Bougainville government adopted a policy on missing persons late last year, but so far it has only resulted in discussion. Peter Garuai’s brother, Benedict, went missing 20 years ago after he was shot and killed when Papua New Guinea soldiers raided Arawa. “I myself have lost my brother … he never came back. He was 20 years old when he joined the army but he was killed,” he said. Mr Garuai does not know where his brother’s remains are. Bougainville at the crossroads: The repercussions from Bougainville’s civil war still echo in the lead up to a referendum on independence from Papua New Guinea, RN’s Rear Window explains. The International Committee for the Red Cross helped formulate the missing person’s policy, but said there had been little real progress since it was adopted early last year. Its representative in Bougainville, Tobias Koehler, said people were afraid to talk about their missing relatives, fearing it could fuel more conflict. “The people of Bougainville are very much attached to their land and the issue of bringing the bones back to the place where they belong, that is of tremendous importance,” he said. “People have a tremendous belief in spirits, spirits of the dead. Apart from the psychological impact, Mr Koehler said there were legal implications for people with missing relatives. For instance, relatives of missing people cannot access their pension. “Another issue is people may actually have the customary land titles challenged if they cannot show that their relatives have lived here for generations,” Mr Koehler said. The impact of the bloody civil war in Bougainville is still visible. Burnt down buildings remain without being reconstructed. But Mr Garuai and other protesters remain hopeful the remains of the missing persons will be found. Families and friends of the missing persons in North Bougainville are organizing a gathering to remember those people who disappeared during the Bougainville crisis. The International Day of the Disappeared is commemorated annually around the world by associates of families, national authorities and the World Red Crescent Movement. Chairperson of the organizing committee, Mrs. Scholly Miriori is inviting those who lost their loved ones and others to attend this very special gathering. Mrs. Miriori said this is a time to comfort the affected families in an effort to share their pain and lessen their burden. Many of these people still do not know where the bodies of their loved ones are buried. The event would take place at the Bel Isi Park on Sunday evening with traditional mourning, singing with a dawn service the following day ending with a sea burial on the Buka Passage at lunchtime. Mrs. Miriori said similar gatherings would be conducted in Arawa. THE five-year extension of the Namosi Joint Venture Company’s special prospecting licence by the Government has drawn opposition from some landowners. Two months ago, Prime Minister Voreqe Bainimarama ensured Fiji and the Namosi landowners that the environment would always come first. 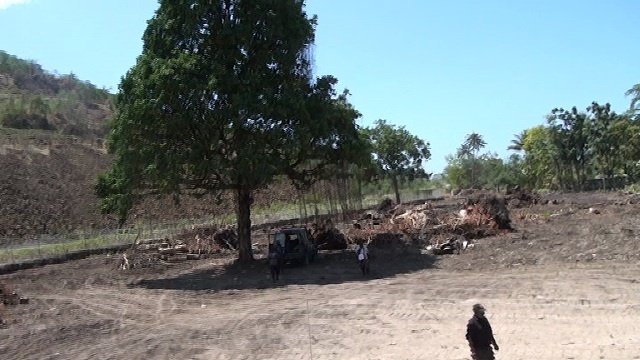 While there has been a strong opposition from the Tikina Namosi Landowners Committee (TLNC), Minister of Lands Mereseini Vuniwaqa confirmed “due diligence was carried out by Government prior to the renewal of the SPL”. “This included environmental and social verifications,” she said. “After these verifications Government was satisfied that the SPL could be renewed, hence the renewal. However, the issue has caused divisions in villages with at least the mataqali Nabukebuke, whose land is being occupied by NJV, split on the extension of the licence. NJV, who are prospecting for gold and copper in the Namosi area, had its operations suspended by Government, who were adamant the environment needed to be protected first. The Tikina Namosi Landowners Committee (TNLC) is seeking the Primer Minister’s intervention to terminate the work being carried out by the Namosi Joint Venture (NJV). TNLC secretary Ana Vulakoto claims 92 per cent of landowners have agreed for the termination of the special prospecting licence (SPL 1420) which was given by the Government to NJV in exploring minerals in the Namosi area. Ms Vulakoto said since NJV started with its SPL 1420 operations, they had not received any environment impact assessment despite numerous requests. “Our people have been living with the impact of prospective mining companies in our land for over 40 years. Our daily experience has taught us that the land of our forefathers is what that gives us life, not mining. The forest, the soil, the waterways, the air we breathe, provide for our people every day,” she said. NJV land manager Netava Bakaniceva said the company was not aware of protests or grievances from the landowners and that there was no destruction to the environment as claimed by the landowners. Meanwhile, according to the TNLC members a villager who was against the exploration of the land was yesterday arrested by police for setting up a roadblock. Fiji Police Force spokesperson Inspector Atunaisa Sokomuri confirmed that a man from Namosi was arrested by Navua police yesterday. The Tikina Namosi Landowners Committee (TNLC) today called on the Honorable Prime Minister Voreqe Bainimarama to intervene in the ongoing dispute regarding exploration for minerals in the province of Namosi. The call on the Prime Minister to intervene in the Namosi mining issue comes after7 years of considered negotiations between majority landowner interests, the mining company Namosi Joint Ventures (NJV) and the Department of Mineral Resources. TNLC Co-Chair, Mr. Agavito Koroimanono today confirmed that they have offered to help the Fiji Government deliver it’s green growth strategy through the promotion of eco-tourism to take advantage of the natural beauty of Namosi such as camping, mountain villas, bird watching, cable cars for sightseeing of natural forest, famous bilibili ride from Namosi down to Nausori as well as mountain climbing. In addition to undertake Government sponsored sustainable agricultural projects, and underground water bottling. 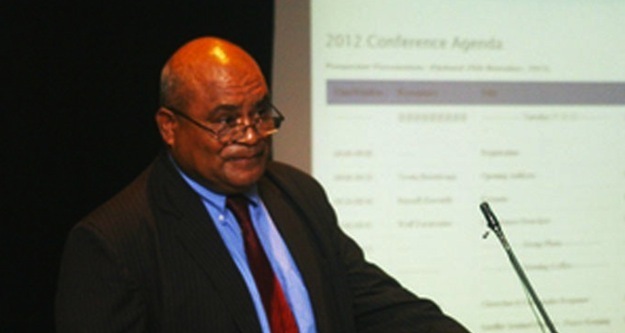 The offer to contribute to Fiji’s economic growth however does not include mining or sustainable mining said Co-Chair Agavito. The call for the Prime Minister to intervene comes after the recent decision to renew SPL 1420 issued by the Minister for Mineral Resources Hon. Mereseini Vuniwaqa. She had renewed the extension for the exploration license 1420 without the knowledge nor the consent of the majority of the landowners of Namosi in what the TNLC is calling a serious breach of trust in ongoing negotiations. “This is especially when the Honorable Minister has promised TNLC to inform them with the result of the consultation done by her Ministry which she has failed miserably to do,” Mr. Agavito said. “TNLC have consistently demonstrated their good faith in negotiations with the respective department and the Minister responsible for mining by conducting extensive consultations and a secret vote to determine whether the extension for the exploration license should be terminated or granted. The outcome of the secret vote within the Namosi Tikina, Tikina Wainikoroiluva and Tikina Waidina demonstrates an overwhelming support where 92% of the people voted for termination of the exploration license which the Minister responsible has chosen to ignore in her decision making process, said TNLC Co-Chair Agavito Koroimanono. The majority decision for the termination of the exploration license comes after 47 years of history of experiencing the ill effects of exploration amongst the people of Namosi which TNLC have informed PM about back in 2012. We have experienced firsthand what exploration for minerals means for our water systems, our livelihoods, our environment, and our culture, he said. It is this experience which drives the majority of the people in Namosi through TNLC to stand up and support other forms of productive economic activities such as eco-tourism and agriculture to contribute towards Fiji’s economic growth. TNLC believes that the GREEN ECNOMY is the world most important part in its ecosystem and without it the world plus man would collapse anytime. Engaging with sustainable development is another way of supporting the Government approach of preventing climate change, Mr. Agavito said. Mr. Agavito stressed that TNLC value creation as it was the beginning of life. We believe and support that everything created was created for a special reason. Man should search for this only special reason in order to harmonize the purpose of why the Creator created it, he highlighted. Governments and civil societies around the world must do more to establish the fate and whereabouts of people who disappear in conflicts or other circumstances and give stronger support to the families left behind, the International Committee of the Red Cross has said. Under international law, this obligation lies clearly with authorities and all former parties to the conflict. 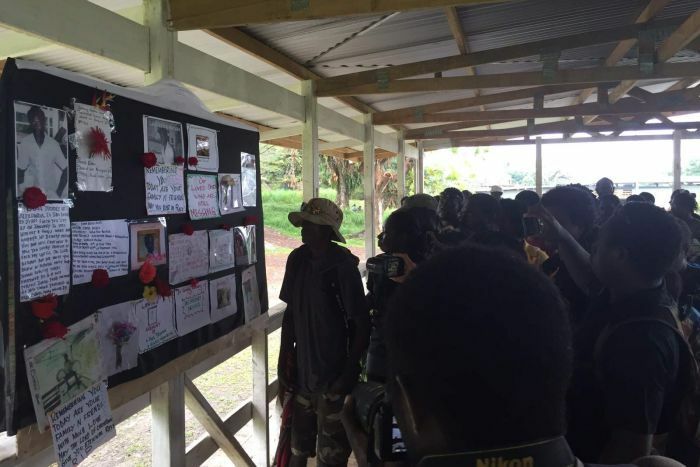 Today, many people in the Autonomous Region of Bougainville (ARoB) are still asking questions about the fate of their loved ones who went missing during the Bougainville conflict more than 20 years ago. “We want to know about the fate of our sons and brothers so that the families can find closure in their search for their loved ones. We also want the government to acknowledge the issue of missing persons in Bougainville,” said Chief Peter Garuai, Chairman of the Davoru Besi Family Association in Arawa. “The issue of missing persons in ARoB is only just beginning to be recognised as a humanitarian priority in PNG by all stakeholders including both governments. 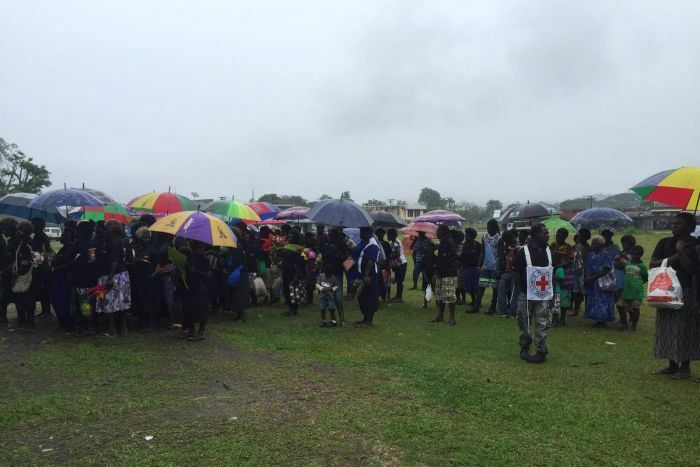 There are still many needs to be addressed such as the practical problems and emotional suffering faced by the families of the missing persons.” ICRC Head of Mission in Papua New Guinea, Mr Gauthier Lefèvre, said. The Autonomous Bougainville Government adopted a policy on missing persons in 2014, putting needs of families in the centre of the process, but it needs to be implemented. The National Government is in the process of creating their own policy that will help the process in Bougainville, once it is approved. All issues related to accountability and compensation are excluded from the policy in Bougainville. In dealing with the uncertainty that comes with missing relatives, families suffer in particular on an emotional and social level.They might experience isolation, sadness and marginalisation and often need long-term support in order to overcome these difficulties and regain control of their lives. 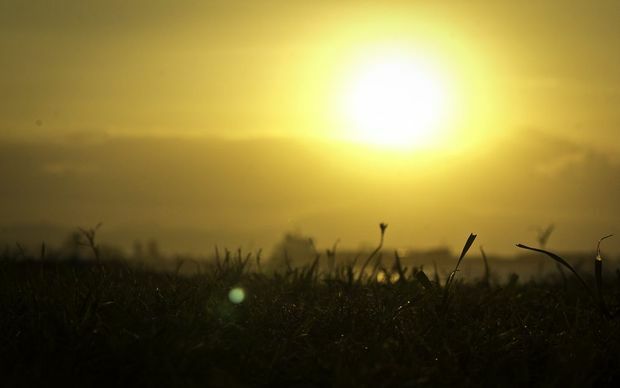 The disappearance of a loved one may leave the family disadvantaged, as customary land-titles depend to some degree on the proper burial of family members on their land. 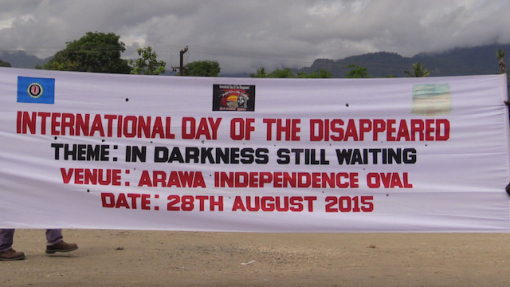 To remember their loved ones, the families of the missing persons have organised events both in Arawa and Buka. These families chose the theme for this year which is ‘Still in Darkness and Waiting’. On 28th August, the families will stage a silent march through Arawa, while in Buka at the Bel Isi Park, they will hold rituals beginning in the evening on 30th August through early morning of 31st August. The support of ICRC in PNG includes the creation of Missing Persons Family Associations, supporting remembrance ceremonies, raising awareness in Bougainville and advising the authorities in ARoB and Port Moresby on how to address the issue of missing persons. “The company has spoilt our environment…I don’t know what the future holds for us”. 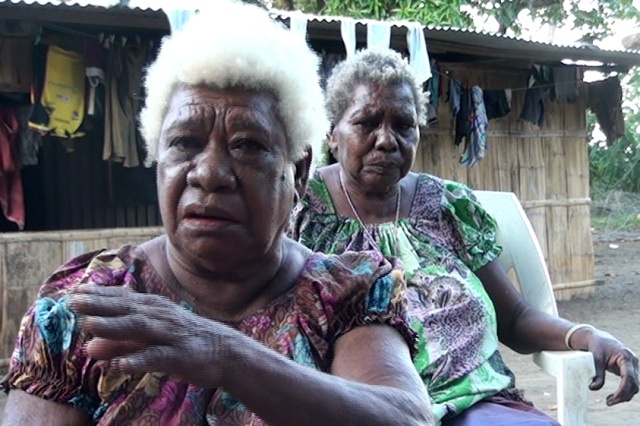 Mrs. Francisca Wesparo and Thecka Inial are the only remaining elderly women at Londolovit. When the Airlines PNG Dash 8 aircraft touched down on Lihir airport on Aug 9, 2015 I couldn’t believe that this rich gold mining township airport runaway is bare soil, sending clouds of dust backwards as we taxi in to park at the small terminal nearby. For a first timer, first impression counts. The miner is not serious in sealing the runway. ‘They’re here to get and get out’. The ring road around the airport parameters are bare soil. Even Camp 1 and 2 which houses the official residence of the Newcrest Mining Limited (NML) general manager, Craig Jetson is bare soil causing dust everywhere each time a vehicle passes through. Parts of Lihir Island have sealed roads and permanent houses because of mining benefits except the West Coast where almost nothing is there; roads are neglected for years, people leave in traditional hamlets and evidence of neglect are sporadic. But thanks to the missions especially the Catholic Church for being there with them and providing basic health and education opportunities. Newcrest Mining Ltd (formerly Lihir Gold Limited, a subsidiary of Rio Tinto) is the world’s sixth largest gold producer. It abstracts gold from the Luise Caldera, an extinct volcanic crater that is geothermally active, and holds one of the largest known gold deposits in the world. Lihir Island has a population of about 8,000. This is about the size of one big Motuan village alone. One wonders why the rich gold mine operating on their island or group of islands provides for few and not all. In fact, the Lihir mining agreement – which I wasn’t privileged to see a copy – covers for Kapit and Putput villages only all to the great disadvantage of the rest. Their landowner company – Lihir Mining Area Landowners Association or LMALA is currently under fraud investigations causing uncertainties among beneficiary villagers. 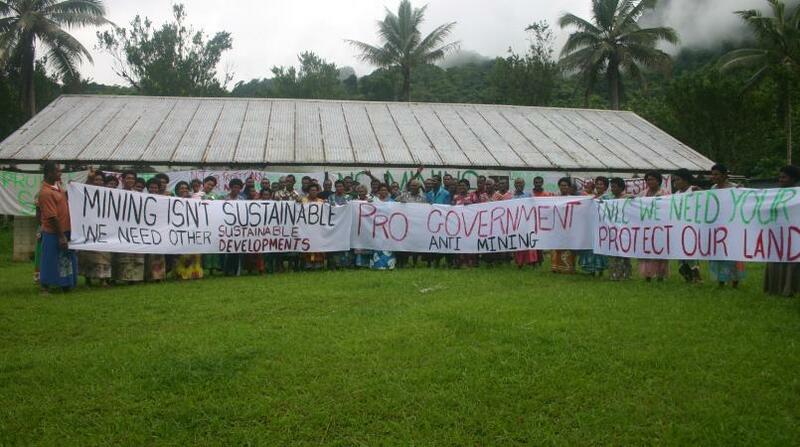 There isn’t a thing called ‘mine affected villages’ like in other resource development agreements in Papua New Guinea. Hence, villages in the West Coast and that of Londolovit situated in the bay miss out greatly. To the left is the Lihir township and to the right is the mine wastes from both the town and mine impact on Londolovit. NML dumps waste rocks into the sea to reclaim land by some 200 metres so far and is still extending is prowess on reclamation. Land claimed is where the processing plant, incinerator, etc are built. Whether land reclamation is in the mining agreement or not cannot be ascertained. 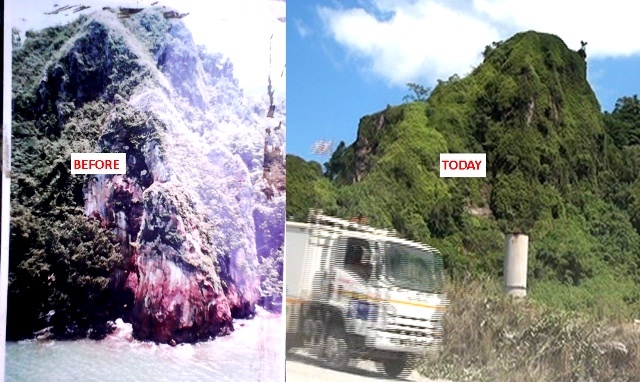 The facts are that the beautiful shoreline between Londolovit, Kapit and Putput villages is gone forever. Their children now can only see photographs to imagine their once very beautiful coastline. Villagers say fish and other marine lives are not as tasty like before and each day fear is mounting among villagers whether mine wastes (tailings) that are being dumped into the ocean do not affect marine lives which people feed on. “In the past things were ok. Today mining has damage our natural environment. “In the past we use salt water to cook with. Today, we are scared of using salt water because of mine wastes being dumped into the sea so we are forced to buy salt in shops with money. “We use to wash and drink from fresh streams and creeks. Today there are no more fresh streams and creeks as the company gets all the water and later sends it back in taps which we now use to wash and drink from. This is not good water. Asked if their worries have been brought to the attention of their local Member of Parliament and Mining Minister, Byron Chan (Namatanai Open) and other leaders, Mrs. Wesparo said: “they know about our problem but can do little”. At the time of my visit – Aug 9-11, 2015 – several coconut trees were uprooted as a result of high sea level and crushing waves which locals blamed on NML’s waste rock dumping activity. Coupled with climate change and sea level rise, Londolovit is destined for more trouble. Yet Londolovit and all other villages on the island are not covered under the mining agreement. The next day visit to inland deep forested mountains of Londolovit passed through resettlement sites at Sepuk Bual, Kuanmakiat, Huonatunuo, and Lilitop finishing off at 228 dead-end. It holds settlers relocated from Kapit village, one of the two coastal villages in the Special Mining Lease (SML) area. Firstly, the Kapi villagers lost their beautiful beach after the mine started its land reclamation activity. Secondly, their whole village was bulldozed and place taken for stockpiling of ores. NML has sighted more gold beneath their village and told them to relocate with cash incentives. Relocate to where?…into the mountains on land belonging to the Londolovit people. Again, there was no consultation. NML has no formal agreement with the Londolovit people for this repatriation exercise. If any, it would base on individual traditional landowners’ consents and not with the consent of the holistic community. This is dangerous which could result in serious repercussions in future. Electricity and Water Cables: Pardon my limited technical knowledge but true water and electricity cables are connected parallel to each other through the main highway between the mine and the township. How safe are these connections come moments of disaster? How safe come moments of road maintenance works? Scary but true as this workmanship by NML shows. Londolovit Dam or Weir: Newcrest is currently undertaking a major expansion of the Lihir process plant known as the Million Ounce Plant Upgrade (MOPU). The MOPU includes installation of a new crushing facility, and upgrades to the ore processing plant. Additional power generation capacity and water supply is therefore planned. Londolovit is not getting paid for the use of their traditional water hole but the State through the Department of Environment and Conservation (DEC) because the agreement states that “water belongs to the State”. NML formerly through Lihir Management Company (LMC) in a 1998 agreement pays Londolovit only for damages or “impact” on the Londolovit river environment and not for “usage” of water. The dam upstream caused decrease water level and lose of aquatic lives and other social inconveniences to the community. Payment is very minimal: K35,000 per annum then to K60,000 pa to K120,000 pa and currently at K300,000 pa.
“Yes, we’re receiving these payments but it is for environmental damages and not for actual usage of our water,” said Steven Massau, spokesman for the Londolovit impact community. Last year, Londolovit commissioned an independent water usage investigation by a consultant and the report found gross extraction of water by LMC now NML “over and above” the permitted rates: 113,949,504,000 litres of water valued at K113, 949,504. Currently, a delegation from Londolovit is in Port Moresby pursuing the K113 million claim. After weeks of pursue, neither the DEC, Mineral Resources Authority, or NML owns up to pay the K113 million. They are paying marbles on them and keep passing the buck. The last time gorgors are placed at the Londolovit weir/dam and at other mining sites was on June 6, 2015 forcing the mine to shut down for 36 hours. Collaborating with the State (MRA), NML flew in 17 heavily armed policemen who removed the gorgors and prevent further disruption by resource owners. When the creature ‘State’ compromises with corporations the end result is political suppression and economic deprivation of fair benefits and opportunities. In addition, they leave massive and irreversible damages and destructions to our environment which holds our land and cultural heritage. It seems an immutable trade off: the greater the right of corporations, the less the right of real person, we indigenous people. The Ailaya rock is the only landmark left along the Lihir coastline to show where the original sea boundary was. Continuous land reclamation by NML currently is suspected of causing sea level rise and damage to marine lives to villages like Londolovit but without proof of scientific studies. That once was Kapit village is now bulldozed to the ground and people relocated to inland mountains of Londolovit without proper agreements in place. NML eyes the place because of promise of more gold deposits beneath. Pics by CYRIL GARE. The chief executive of Australian gold mining company, St Barbara, says the new owners of the Gold Ridge mine in Solomon Islands must quickly start pumping water from its tailings dam. The mine has been shut since floods last year and in May St Barbara sold it for a nominal amount to local landowners’ company, Gold Ridge Community Investments Ltd. The new owner claims the tailings dam is close to overflowing and it is facing a $US29 million dollar environmental disaster. But St Barbara’s chief executive, Bob Vassie, says this is not true. He says the new owners just need to turn on the switch and start the draining.